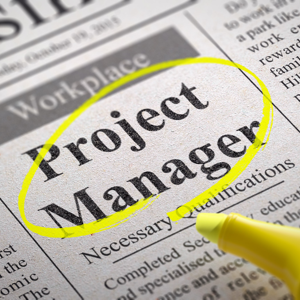 Are you looking to expand your project management infrastructure by hiring a new project manager? Or perhaps several new project managers? Or maybe you've made some bad hiring decisions and lack the project management experience in the organisation to achieve success on some of the more complex technical engagements that have come your way. What do you do. Who do you look for. Where do you look? I have some tips on hiring the best PMs available that I'd like to share - and I'd welcome additional thoughts from our readers as well. The best of the best project managers have great leadership skills. It take skills and the right personality to get your project team to follow you into battle no matter what. Not everyone has it, and not all PMs have it. The most successful ones do, however. Look for that in the hiring process. Design questions around that thought. Ask something like, "Tell me about a project where you had to make an unpopular decision and how your team reacted to that." The best can make their team understand why it had to be, and managed to get the best out of their team and that situation anyway. Even if the types of projects that you generally service aren't all technical in nature, general tech skills will help most project managers. These skills show an analytical side that project managers need to have in order to succeed more often than they fail. Project managers need passion when leading projects. The best are driven to finish successfully. They're driven to serve their project clients. They're driven to successfully lead their project teams and get the best and the most out of them. Look for a passion for the position you're discussing with them and a passion for the profession in general. If you don't see it or hear it during the conversation, move on to the next candidate. And stay away from the whiners. If they're complaining at length about a past position or organisation, run away. You probably don't want them. If they say something about not getting proper project support from a senior leader, then that may indicate passion for the project and frustration with not being able to give 100% to the project customer. That's definitely not a bad thing. You can tell BS from reality if you're a good interviewer or hiring manager. When candidates start talking about past projects and it rolls off the tongue like a fluent second language, you know they know what they're talking about and aren't giving you some rehearsed lines from a page. They go into details about dollar amounts, team sizes, struggles they worked through, etc. You'll probably hear about their weaknesses and strengths without even needing to ask because it will come out in the discussion of their past experiences with projects and project clients. If you want certification, that's fine. But don't overlook the experienced PMs out there who have been through it. So many great project managers do not have a certification. If you just overload your staff with certified PMs and don't get good, experienced project leadership on board, you will be sorry…guaranteed. And look anywhere. You can hire a great PM in another city, state or country and use them remotely…possibly with some travel required. A very good PM will be self-disciplined enough to manage one to many projects very well in a remote situation. That creates a win-win situation, too. Why? You can get great talent that you might otherwise not get because they don't want to relocate. In this economy, you probably don't want to pay for relocation anyway. And you don't have to - remote can work to your advantage. I think we all know that hiring good staff in any position is an art form - it is NOT luck. Be careful. Be aware. Be prepared to ask the right questions. Look for knowledge about projects, customers, financials, resource management - all those things that go into being a good project manager on a daily basis. What about our readers - what are your tips on hiring the right project managers for your PM infrastructure. And PMs looking for positions - what are your questions or experiences that you're running into in the marketplace. Please share and discuss. A good article. Just to add, questions on handling conflict situations and prioritization do help judge the PM skills. In my opinion, stakeholder management generally comes more with experience than any certification. I agree with this article especially "Emphasise Experience Over Certification" as experience comes with lessons learned, continued efforts and devotion. In addition, leadership skills are necessary as the leader sets examples for others to follow. Technical skills are also mandatory as rapid changes are occurring worldwide, and for success "survival of the fittest" especially administrative and technical skills play a vital role. Last, getting right information from the interviewee is necessary, which covers all relevant fields including attitude, past performances, etc. 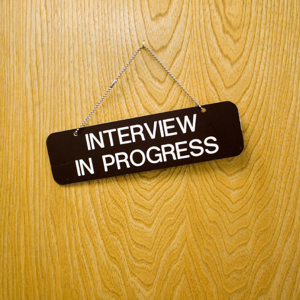 A step-by-step guide to recruiting an IT Project Manager with 70 example interview questions. The ideal project manager specification, including general requirements along with the attitudes and behaviours that we should look for in our project managers. Managers are constantly searching for the secret to hiring the right employees. 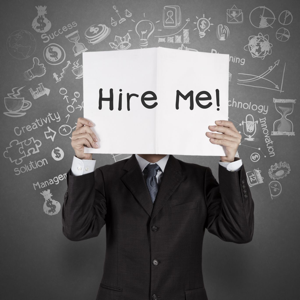 This article attempt to demystify the hiring process and provide tips on making a successful hire.